The new entity was the result of the concerns of a group of local Hispanic business leaders interested in finding ways to secure business growth and development during these difficult economic times. TLC seeks to act as a unified and dynamic organization in order to stimulate business interaction, professional development and promote success. An initial survey among Hispanic business people showed that the single most important value sought by members was training and workshops. The survey also identified the key areas of opportunities currently missed by other organizations such as economic/business development and communication/marketing to the membership. There&apos;s the info, and here&apos;s the Tampa Bay area event aspect. 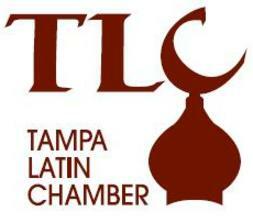 The Tampa Latin Chamber will unveil its plans, mission and a summary of the study at the Chamber’s launch event scheduled for Tuesday, April 28th. The luncheon will take place at theValencia Garden Restaurant from 11:30 a.m. to 1:00 p.m. To reserve your seat for the event e-mail reservations@tampalatinchamber.com. And definitely head over to their website to get more details. This is a very exciting development locally, so head out and get involved if you can. And stay tuned for more updates about things to do in Tampa Bay!